Along with our new and reclaimed wood flooring and interior trim, we offer custom architectural millwork products. You may want to set your home apart with a high-quality custom staircase created by our craftsmen, need a sliding interior door made from reclaimed barnwood, or have us build and distress a set of hand hewn beams to enhance your ceiling. What ever your challenge, we will find a solution that is both functional as well as beautiful, and we will deliver your product on schedule. We’ll help you choose the species of wood that best fits your color palette and finishing options. From project inception to installation, and throughout all phases of a project, our attention to detail is evident and your finished product will retain it’s natural beauty and perform for years to come. We offer a full line of custom exterior, interior and sliding doors. Option vary and my include custom finishing, distressing, and raw wood. Our mantles created from reclaimed wood contribute an aesthetically pleasing design for your home. Fireplaces bring warmth a room, and our mantles bring warmth to your fireplace. Mantles can be custom crafted with rustic barnwood, dimensional timber, or in the traditional style. With a variety of wood type to choose from, whether it be raw, paint grade, stained, rough, or polished, the finished product will enhance any room. Wall and ceiling paneling adds warmth and character to any space. 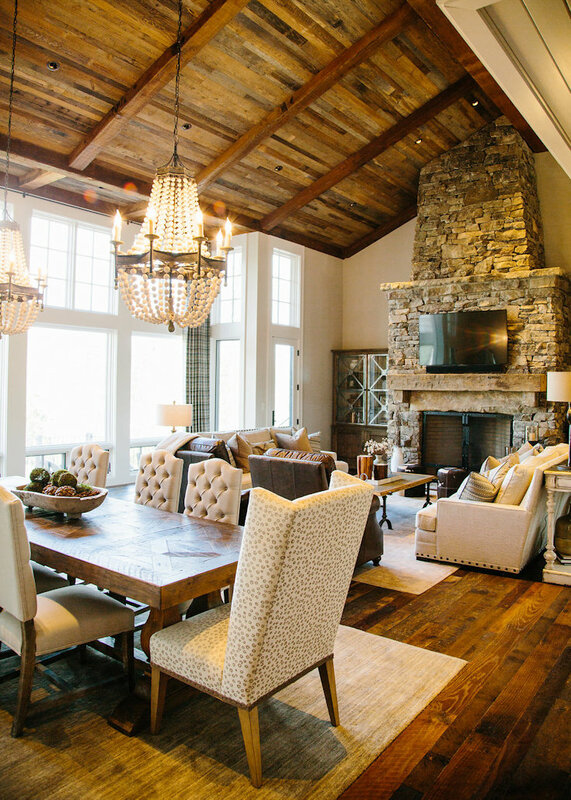 Whether you add our reclaimed wood paneling to and entire room, or just an accent wall, the use of natural wood contributes to a distinctive design element that sets your home apart. We offer our wall and ceiling paneling in multiple options, finishes, and grades, so you can create a rustic look with contemporary flair. Over the years, we’ve created custom furniture for our clients to fit unique situations and needs. From built-ins to butcher blocks, we’ll design and craft a beautiful, one of a kind appointment for your home or office. Our handcrafted furniture is not only beautiful & completely unique, the process allows for the owners input and the knowledge that your piece will endure the test of time. LucyPhoto.com offers striking interior and exterior photography.